giving their support and love through a childs perpetual song. The Bulgarian begging and donating the proceeds to charity, I wonder how many see past the tattered clothes and see his beautiful soul. 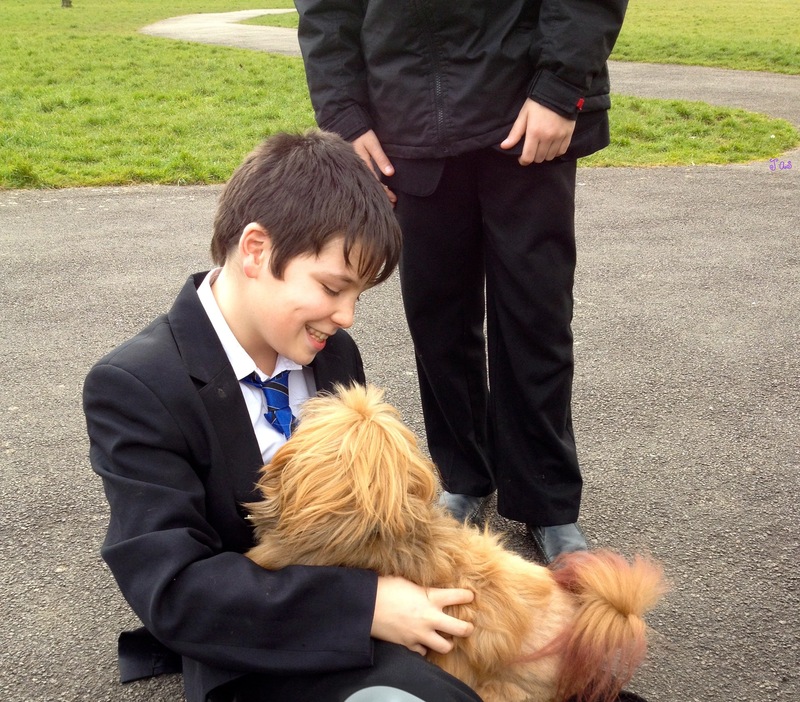 Love for creatures, to give the elephant an artificial leg, to the dog in the park who gets a cuddle from the boy in park, who does`nt know the dog, but extends his love to make the dog happy and feel worthwhile. Good to hear there are nursing staff who are committed to healing and caring. Meditate on those feelings of love I would, they are way powerful the now. Moved to tears… Thank you for sharing these stories. They merit being passed along as often as possible. Your blog posts are wonderful. Oh, we can learn so much from these stories, can’t we? They seem to hit something deep inside with their innocence and love. Your blog is a bit brilliant too. You share some lovely poems and images. Yup. Touches the centerpoint and radiates. Thank you for your comment about my blog. I am working through a transition with it… and some days, I close my eyes and grit my teeth when I hit ‘publish.’ Your affirmation means a lot. I’m finding that this blog is naturally changing as time goes on. I know that great writers say writing is akin to pulling teeth, but it seems that to keep our blogs authentic, they really need to speak to who we are? (smile) … and there it is. 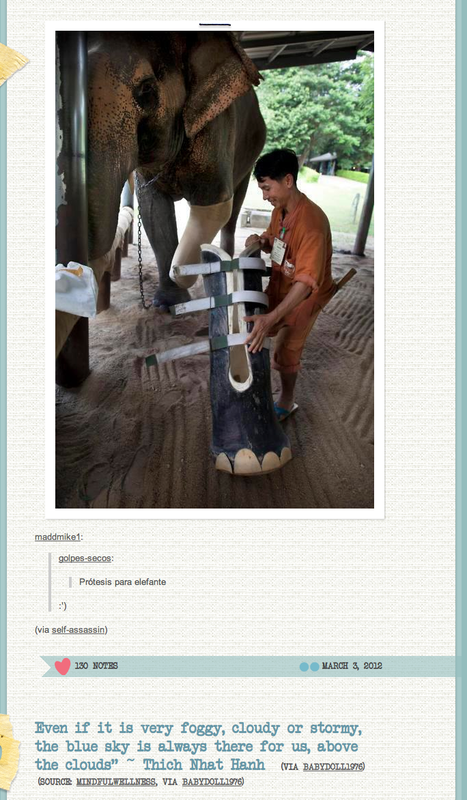 Love your posts and especially the elephant with the artificial leg– beautiful, truly beautiful. Also the story above it. Still doing distant Reiki Fridays for you. Do you remember me? Thank you for the Reiki. Your 9am is 2pm in the UK isn’t it? * You’re in my Reiki / dedications book and anybody in that little Book of Magic gets prayers and healing sent their way. I’m afraid my grasp of time is a little lax, but it’s definitey happening Fri early afternoon. I hope you’re fairing well Ellen. Yes, it is a lovely image and the story about the song for each child is very beautiful, too. Thank you for sharing such utter gems to lift the spirits. Thank you _(*)_ I’ll be abed in a few hours, but Reiki is said to work best when the recipient is relaxed. Yes, the video was great, too. A totally lovely post all in all!! Thanks Jas. I am a bit late in reading this what with work and all that outer entanglement stuff. this post brought tears of joy to me!